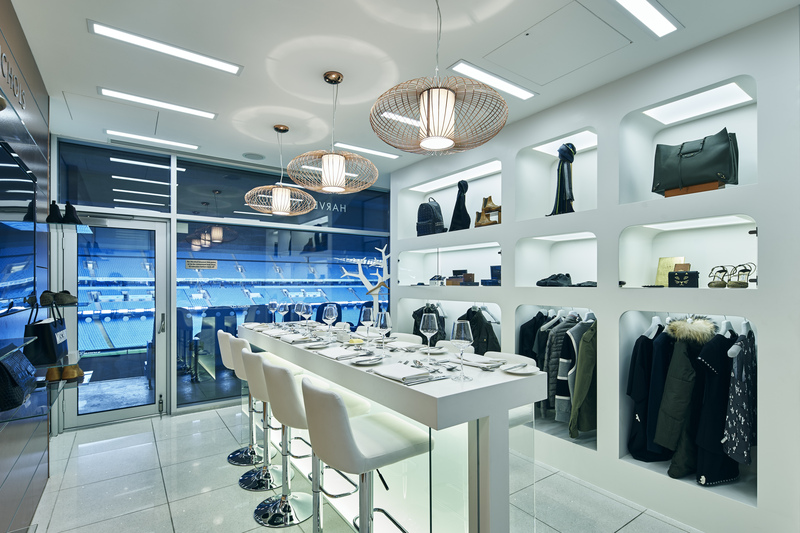 Harvey Nichols has unveiled a concept box at the Etihad Stadium, home of Manchester City Football Club, designed by refurbishment specialist Preferred Spaces. 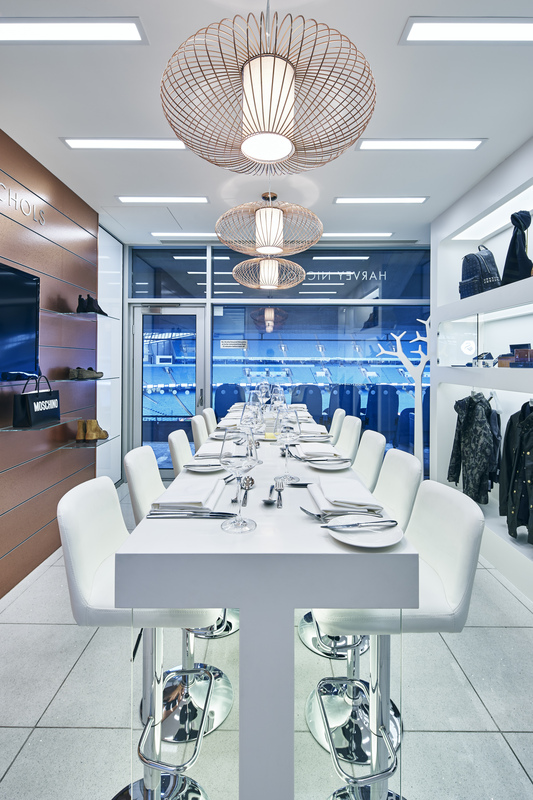 The 8ft x 11ft platinum hospitality box now includes designer clothes for men and women together with jewellery, handbags and shoes from designers including Jimmy Choo, Christian Louboutin and Dolce & Gabbana. 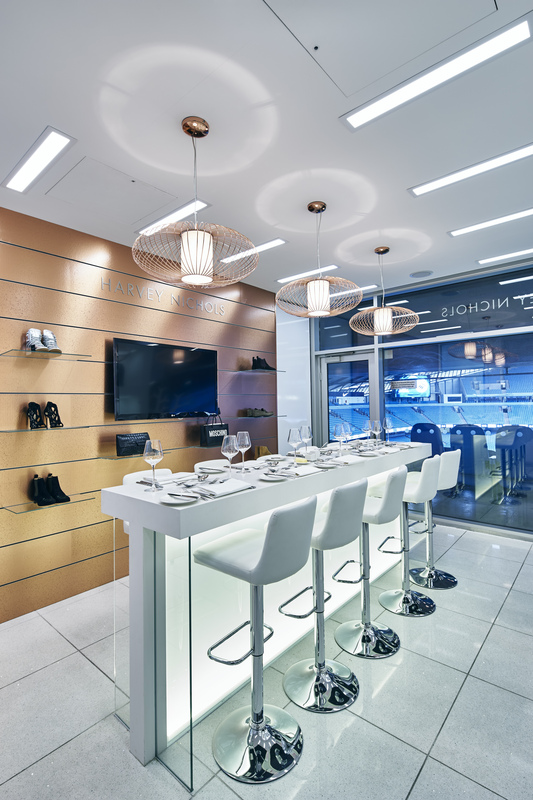 Justice Ellis, Manchester City’s marketing manager, said: “This is a first in UK football, making the traditional corporate box offering even more imaginative and exciting. 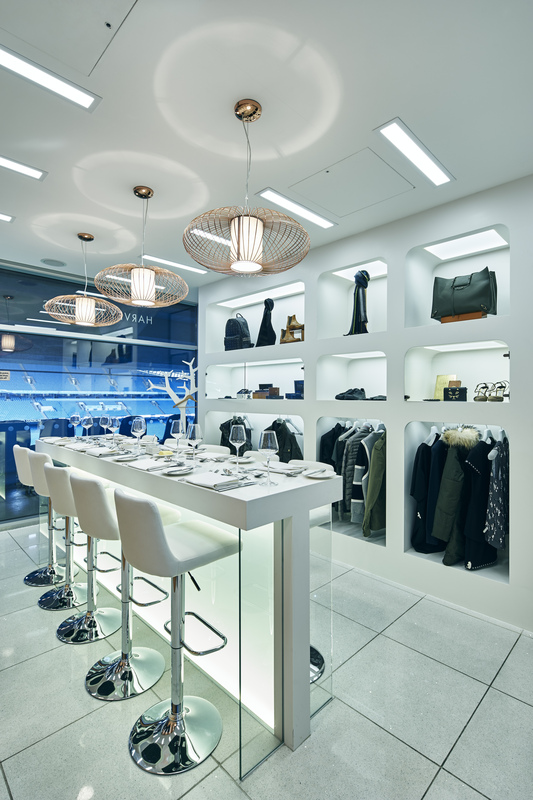 We know our customers value a unique experience every time they visit and the Harvey Nichols box epitomises this.